The Budding Tree is much more than a Cleveland florist, but rather a floral design company that specializes in using flowers and materials in perfect harmony to create decorations and centerpieces. The designs of this company will all be part of the bigger picture that you have for the day which is why the designers work closely with the couple to make sure each flower, color and material suits the occasion perfectly. Reviews rave about this personalized attention given by the experts. When you want your wedding flowers to be unique and special, you need to work with one of the top florists in Cleveland, OH. 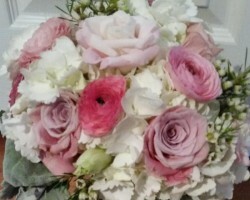 This team of designers at Countryside Florist Inc. is known for having talents that lend themselves perfectly to creating unique wedding arrangements and decorations. 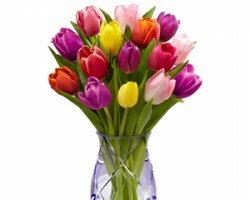 You can choose flowers based on what is in-season or you can choose your favorites at any time of the year. This company has the selection and the skills to make your wedding day a fairytale occasion. For over 30 years, Silver Fox Florist has been one of the go-to local flower shops for weddings and special occasions. 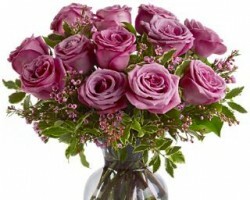 This company has built up such a stellar reputation by having the freshest and most varied selection of flowers, the most talented arrangement designers and the friendliest customer service. There is nothing better than having a personalized touch added to your wedding flowers from this team. 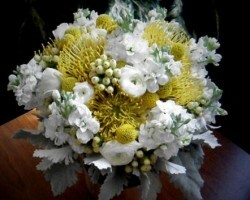 They will treat each design and bouquet with the same care they would give it if the event were their own. Brennan’s Flowers offers everything from flower delivery in Cleveland to special occasion bouquets and wedding arrangements. One of the reasons this boutique is so popular is because they offer all of their fresh flowers and artistry at affordable rates. Couples can have more flowers and more beautiful arrangements on their big day without breaking the bank. Whether you would like to use designs that have been created previously or would like the floral designers to customize the centerpieces and corsages, they are always willing to accommodate. 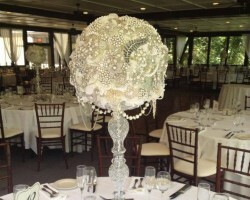 Crystal Bloom is an event design and floral company that caters specifically for weddings in Ohio. This company offers everything you could possibly need to make your wedding flowers the most beautiful and extravagant you can imagine. From custom bouquets to creative cake toppers, each aspect of your event can have flowers involved in a unique way. This will not only help to make your event intimate and romantic but will also mean that your wedding is one-of-a-kind and completely personalized.